The Royal Victoria College, McGill's college for women, was named in honour of Queen Victoria, one of the most prominent female figures of her time. Its first, and central, wing was built by the American architect Bruce Price in 1899. The Royal Victoria College, McGill’s college for women, was named in honour of Queen Victoria, one of the most prominent female figures of her time. 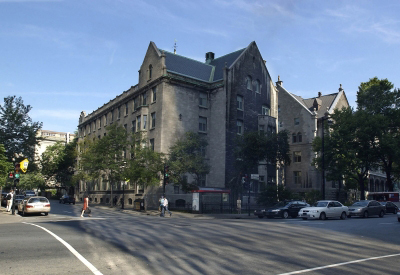 Its first, and central, wing was built by the American architect Bruce Price in 1899 at the request of Lord Strathcona, formerly Donald Smith, one of the most charitable of McGill’s donors.